We’re very lucky to have the Searchlight Trading Hut right on our doorstep, next to the Haslemere entrance. 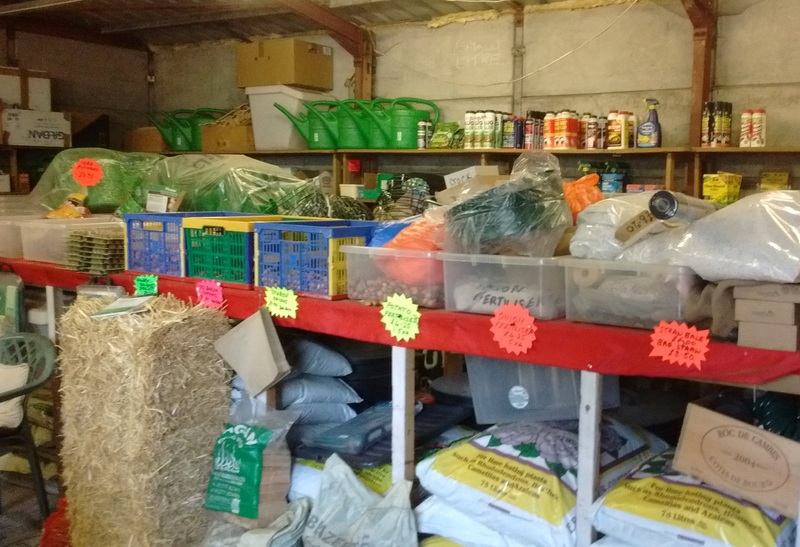 It makes it possible to avoid the expensive commercial garden centres by providing a wide variety of gardening products and equipment within trolley-distance of our plots. Always in stock are the regular basics of compost, fertiliser, plant feeds, pest control, sharp sand, and canes from 3ft to 8ft. Seasonal items include seeds, onion, shallot and garlic sets and seed potatoes. Bedding plants and some vegetable plants are available in May and June. You can also find water butts, compost bins, tools (both new and second-hand) and even second-hand sheds, as well as those useful small things – plant labels, soft twine, netting – that always seem to run out at the wrong time. Even straw for your spuds and berries! Where would you find that in a garden centre? And all at competitive prices that are frequently cheaper than the garden centres in any case. 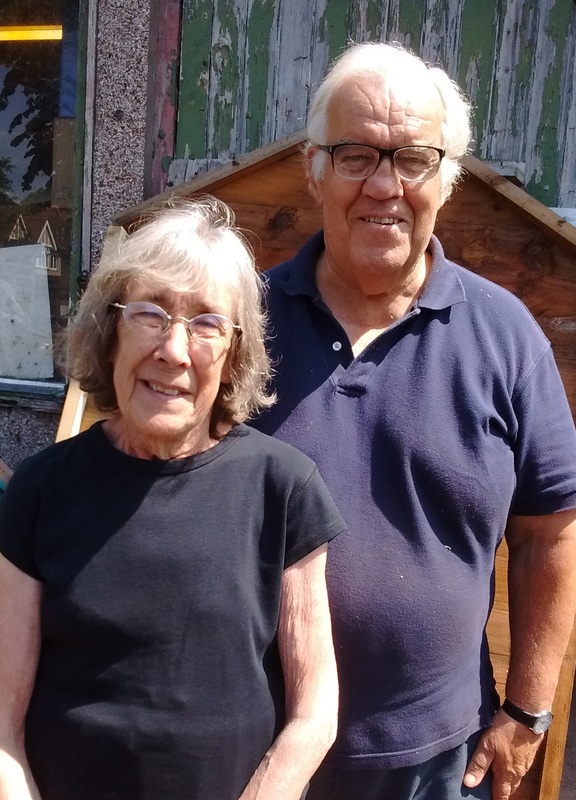 Run for the past seven years by volunteers John and Tina Regan, the Hut, along with the one on Ascott Allotments, is administered by the Ealing and Hanwell (Boston Road) Allotment Association, which celebrated its centenary in 2017, and which currently has over 400 members. You need to be a member to use the Hut, but annual membership costs all of £2. So keep it local – try the Searchlight Trading Hut for your allotment needs. You’ll be helping the community and the environment.